Brock, pictured, is one of only two dogs that has not been put down at a Gander shelter after a deadly virus was discovered in a rescue puppy. Nearly all of the puppies and fully-grown dogs at a Gander, Nfld. shelter must be euthanized to prevent the spread of an incurable and contagious virus. 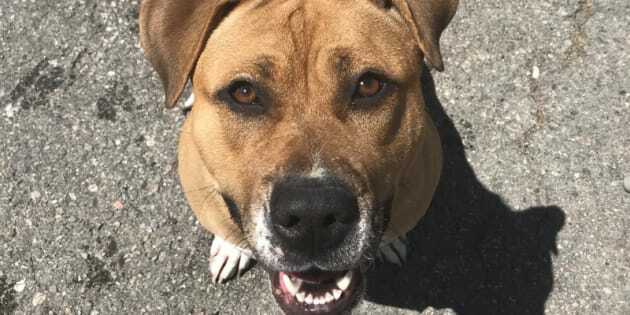 According to a statement released by the Gander SPCA on Tuesday, an autopsy completed for a rescued puppy confirmed that it had distemper — an illness that damages a dog's respiratory, digestive and nervous systems. The virus is fatal in half of cases, and even dogs that survive almost always sustain permanent physical damage. Dogs remain contagious for some time, threatening the well-being of other dogs for up to three months. The shelter has quarantined its dog area since the puppy's illness was discovered and the creature was euthanized. Distemper is a rare, debilitating virus that can damage a dog's major organs and central nervous system. Permanent palsy or shaking can occur if a dog's brain is affected. In an effort to protect not only other uninfected dogs, but also other wildlife including foxes, coyotes and bears, a team of veterinarians came to the conclusion that the best way to contain the virus was to euthanize every animal exhibiting signs of the virus. "We have clung to hope these past couple of weeks, trying our absolute best to keep the virus from spreading from the puppies to our adult dogs, but they too started showing symptoms of distemper," the shelter said. "Vaccinating your companion animals is of the utmost importance when it comes to stopping the spread of distemper and other virus that can be harmful or fatal," the statement reads. Only two adult dogs, Kali and Brock, have not shown signs of the disease. The animals will remain under strict quarantine for the foreseeable future, according to the statement. The loss reinforced the need for isolation rooms in the shelter was clear during this "emotional" time, the SPCA statement said. "While we feel defeated with this great loss, we will continue to push forward and advocate on behalf of those who can't defend themselves." The shelter did not immediately return a request for comment.